Composer Mark Lanz Weiser’s music has been described as “brilliantly expressive” (Washington Post), “potent and well-made” (San Francisco Chronicle), and “ravishing” (San Jose Mercury News). His compositions have been performed by a variety of notable groups, including the Baltimore and Indianapolis Symphony Orchestras, the Oakland East Bay Symphony, Pulse Chamber Music, the Capitol Quartet, the Peabody Orchestra, and USC Thornton EDGE. He has received numerous commissions, including ones from the American Guild of Organists, the New Horizons Chamber Ensemble, the Loudoun Symphony Orchestra, and the Capitol Quartet. His opera Where Angels Fear to Tread based on the novel by E. M. Forster was given its professional premiere by Opera San Jose in February 2015 to wide acclaim. In January of 2015, Weiser was awarded the 35th annual ASCAP Foundation Rudolf Nissim Prize for his second symphony subtitled Sinfonia Magalhães (Magellan Symphony). Other awards include first prize in the National Association of Teachers of Singing National Art Song competition, residencies at the Yaddo colony in New York and the Virginia Center for the Creative Arts and the 2015 Ithaca College International Heckscher Composition Prize. In addition to Where Angels Fear to Tread, Weiser has composed two other operas, a St. Mark Passion modeled after the Passions of J. S. Bach, numerous songs and song cycles, scenas, and works for voice and orchestra. Instrumental works include orchestral music, multiple instrumental and chamber compositions, and concertos for organ, marimba, and saxophone quartet. Weiser’s music has been published by Boosey & Hawkes and is currently published by Editions Bim International Music Publishing. 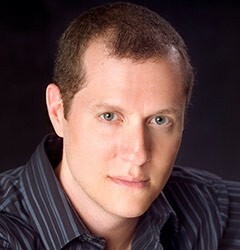 Mark Lanz Weiser received his bachelor’s degree in piano performance and master’s degree in composition from the Peabody Conservatory of the Johns Hopkins University. He has been on the music faculty of several schools and universities including Peabody Conservatory, and is proud to serve as Assistant Professor in composition and theory at USC’s Thornton School of Music.